My great granddad and grand dad owned the rink in Rhode Island,Natick Riverdale Roller Rink.i also do think these are just the ones belonging to RSROA in the 1960 there are more that is not listed. Brik dont forget riverdale w bridgewater also, also in our area the norwood rink is closed, weymouth, marshfield i think. I skated at the same rinks as yourself along with my husband. We both back in the day skated mostly at skateworld and once they closed that rink I ended up at Tempe skateland. These rinks are not on the list. I met my wife at Skateworld at 44 & Oak. When Skateworld closed I skated mainly at Tempe & Mesa sometimes at Great Skate or Rollero with okie. Last edited by Madcow; April 22nd, 2008 at 03:15 AM. As I'm updating the roller skating rink directory at QuadSkating.com I'm realizing that a really huge number of roller skating rinks have closed in the last 10 or 15 years. I'm under the impression that at least half of the roller skating rinks that once existed have closed and it could be closer to 2/3. 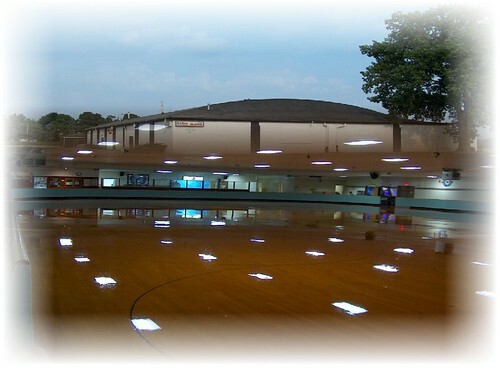 If you have memories, stories, pictures, or general information to share - good or bad - about any roller skating rink that has closed anywhere in the world, please post them in this thread. If you can remember anything about a closed roller rink's history, owners, coaches, clubs, teams, skaters or location, or if you know what business replaced the rink please post that information here also. Help us preserve the memory of the great roller skating rinks of the past. One of the great ones was SKATE LAND AT THE BEACH many old time skaters still lovingly talk sbout it even though it's been gone for over 30 years, labor day 1971 it must have been a one of a kind experience.both art and session skaters still talk about it. Are you interested in some history from the UK? There's a rink on the list in Youngstown call "Rollercade". I remember skating there in middle school for school skate partys.It was a great old place. It closed and the building was bought by the Schwebles baking company. The building is still standing and being used by them. There was another place in Boardman,Ohio called "RollerWorld".I think it was built in the late 70's. It didn't last long. It was a new build and seamed to have top of the line everything. From what i heard it was bad ownership/ managment that put it under.Everything was auctioned off and my friends father how owned a rink in nearby Salem ohio bought the floor.We cut it out loaded it up and put it in his rink....What a job that was as his rink was on the second floor. I have skated at the Salem rink, not too many times though. My rink was another on the list in East Palestine OH called the Rollerena. I spent 7 quality years there not becoming a fat kid. They were absolutely the greatest years of my life. It was a rural rink and the crowd was very regular. From the old school figure types, and the kids that they had in the figure discipline, to me and my turd friends that only wanted to go flat out for the entire session. The floor was beautiful and the 4 corners of the rink had screen doors that were opened in the summer to let breeze blow through the rink. Alas, I moved away when I started High School, and when I moved back 3 years later it had since burned down. I did not skate during the years away, but tried to go back to it in 1991 or so at the Skate Connection in Boardman OH(YO KENNEDY!). It just wasnt the same the magic was gone. Now I am 34 and introducing my 7 year old to the rink and I really wish that it was the same. It isnt. However, she seems to really like it and I will keep going until I have to post again marking the demise of another rink that I came to love. broadway roller rink in louisville, ky. probaly would have been considered being in a bad area of town, but once i started driving i loved going there 'cause it was the first rink where i experience a coated floor. i tend to slide easy for some reason and i just felt free there. even being a smaller floor than where i usually went, it had such good grip you could just whip it aroun the turns. plus being in an "urban" area, the music was always good. don't know when it opened or closed though. since i don't live downtown i just noticed one day it was closed while i was driving by, now it's gone and there's a funeral parlor there. Well hello Kwite Tite!!!!!!!! What a terrific suprise! In the Mid 60's my husband was in the Navy so I don't think he competed then. I didn't meet him until 1973. The competitive club was not as big or active by the 70's. David and Paula was the Junior team that I spoke of doing the exibition at the Christmas Party / session. Theo and Sue were the pro's David was their son and Paula their neice. ,,, and "yes"... "in the genes" ... we have 3 generations on the floor on Tuesday evenings! Yes, we did see the building a couple of times over the years. It was a boat warehouse at one point. And the wedding reception... was that Bobby's wedding or Bill's? I would imagine it was Bobby's... Him and Joyce had a "BIG" wedding. I saw their picture album. We moved here to the Harrisburg shortly after Bobby and Joyce had a baby. I lived in Hatboro and my husband lived in Warrington and he skated Warrington as a kid and as a teen! He started having an interest in dance skating there. One of the girls showed him the Imperial and Flirtation Waltzs... she was tired of never having anyone to waltz with! Well it's so nice to know someone else thinks about Pike with such fondness too. It's also neat that you two met there too!!! We are also married 35 years this year. Thanks for posting anf saying hello.... and Glad my post put a smile on your face!!! When Bill Clark is coming up to visit again and Marty announces that he will be playing at Olympic I hope I remember to PM you and your son to let you know when the session will be! I was coached by Sue twice. First in the early 60's when I first got on skates, then I think Sue and Theo left to coach at Concord, another now closed rink in NE Philly. Then came Rennie Dickens and Marlene Woodard, both who we all loved very much. Marlene was briefly married to the rink owner's son Bill. Then Rennie and Marlene left, and were replaced by the Murphys. They left and Sue and Theo came back and were there until I dropped out in 1972. I use to skate the Tuesday evening dance steps with Sue's other niece Valerie Kepple. My then fiancee (now wife) was a casual skater, and wasn't keen on the me skating with another pretty girl, so I stopped out of respect for her and because things were gearing up for our wedding. The wedding was for Bobby and Joyce, and I remember it was a lot of fun with the reception being held directly in the skating floor. It's funny you mentioned the Imperial Waltz in your post. I just posted something in another thread about a nasty falling I took while doing the Imperial. I hit a loose ball bearing while skating backwards, and fell with my partner landing on top of me. I hit the back of my head pretty good, and was unconscience for a couple of minutes. So if you skated at Pike during the 60's thru 1972, perhaps we've met before. I've said to my wife, that I'd like to get a picture of us waving while standing at the door of that building. If the kids ever make a photo album of our lives after we're gone, they can use that one as the closing photo. Good memories of Pike!....Stealing a kiss from a girl during the darkened couples skate....playing the pinball machines while my partner or girlfriend pestered me to get out on the floor...having Bill Clark play a bouncy piece using only 2 oranges instead of fingers....seeing my Dad drag a big Christmas tree into the rink for Rennie and his wife becasue they couldn't afford one themselves....and seeing the rosin haze in the air after a busy session.....and of course the vision of the perfect girl (my wife) with greatest legs, in the tiniest of skating skirts with white trunks showing...wow! They are all good memories of Pike. Last edited by Kwite-Tite; April 28th, 2008 at 12:44 PM. I believe when our pack of hairdressers that I mentioned came to Pike it was early in 1971... you were probably among the wonderful Artistic skaters that we discovered at the Sunday evening session. WOW, to a bunch of newbies you were all so beautiful and even after I started skating with my husband (married him in '73 but didn't start skating together until '76) and could do most any dance that you beautiful skaters could do my memories of you guys was still the same... you still all looked like Fred and Ginger to me!!! Never even knew the names of most of those beautiful skaters. Only a guy named Richard who skated with a girl named Maureen, and one great "sweet girl" named Becky... Vaguely remember a Tall thin dark hair guy who someone said had just gotten married. Maybe that was you??? The name Joe seems to come to mind???? Never got to know any of those skaters they just started disappearing slowly... marriage, tight budget, all the normal reasons. I only knew Theo and Sue... Kenny took lessons from Sue sometimes having a partner and sometimes not. and I took lessons from Theo after taking the Sunday night Waltz class for Adults (only for a few months though) . Boy !!! could Theo bellow!!!! I remember how he used to stomp his foot on the floor and bellow "you've got to...'FEEL THE FLOOR'.!!!" It took me until 1977 to know what Theo meant. When Kenny and I moved here (Harrisburg) we really teamed up and joined a club and took lessons as a team. "That's" when I "felt the floor" for the first time. By 1978 we finally accomplished something... Silver Medals at the state championships. And what an honor for us... Sue was presenting medals that day!!! She had tears streaming down her face because she was so happy for us. On that day I remembered all you guys!!! And I finally felt like "I probably looked as nice as the memories I had of all you guys" After that Kenny and I didn't compete as much, he just wanted to have fun and we sure did... In that short 5 years or so he took me from a casual session skater to the State Silver Medal (Esquire Dance) and then just for fun right up thru to the Harris Tango, Paso Doble, and Continental (and Imperial ) Waltz. What a great ride !!! We stopped skating for 25 years but the kids and Grandkids got us back to skating about 3 years ago and we are loving it! Shortly after our return to skating Kenny was out there "trying to impress the ladies with 3 turns" and WHAM !!! right down onto the back of his head... he wasn't unconcious like you but did have to get 10 stitches. Most of what we used to do has come back to him... me? I am a little slower, just now am I starting to work on my backward skating again... But at 60, thats OK.
And God Bless you for that Christmas tree gift!!! About 15 years ago Kenny and I hit a tough time financially. It was Christmas week and the words, "we have to choose between a Christmas Tree or Christmas Dinner we don't have enough money for both" had just come out of my mouth when the door bell rang. The Landlord who we rented my shop and our apartment from was at the door with a "left over" Tree from the Jaycees Club sales. And I'm sure you can guess how that story ended!!! When you get a picture of you two standing in front of Pike please post it here... We would LOVE to see that!!!!! retread (from this Forum) posted 2 pic's for me and Kenny so you can see what we look like today!!! Here is the link... it's almost at the bottom of that page. and here is a link to what we looked like "back in the day"
again scroll down to the bottom of hte page. The greatest thing about skating is... you never feel as old as you look!!! Last edited by NaNaDo; April 29th, 2008 at 02:14 PM. Cleveland Rollercade Was A Huge Rink. 12 Laps To The Mile. Nationals Was Held There A Few Times. The Last Time In 1958. Jack Dalton Owned The Rink. I Do Have A Post Card Of The Rink. That Is A Great Hobby For Some One Into Old Rinks. I Have About 400 Cards And Some Are From 100 Years Ago. Years Ago Many Rinks Were In Amusement Parks. Ever been in JOhnstown? My family /entirely is from there ...still lives there. I was checking out your IL rink list and did not see Aurora Skate Center. It opened in '55 and is still going. The latest owner is trying real hard to make it better. I've been skating there since the '70's when my older brother and I used to walk together through a cornfield to get there. It was on the decline even back then. Some even called it a "dump". In Dec '07 a corner of the roof collapsed after some heavy snows. I thought it was going to be the end but they completely redid the roof and re-opened last week. This "dump" is where I became best friends with my brother, first kissed a girl, and met the girl who years later became my wife. I'm really hoping it gets ON your list and doesn't get taken off. That looks like a wonderful rink! good job! And I hear ya about memories and wanting the rink to stick around .......I cant say that enough about rinks in our area.....Mostly eastern side of cleveland Ohio. Last edited by brikkee; May 24th, 2008 at 11:32 PM. Brik what a great pic, i never seen the old riverdale before, only the one downstairs with the rotunda floor. good article too. nice historical stuff for sure.